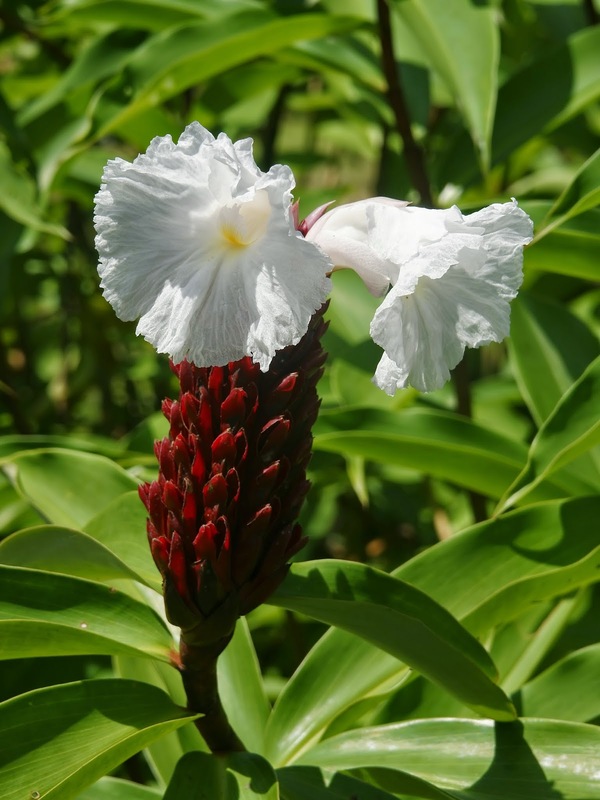 This plants has many efficacy to heal some deseases has Latin name: Costus speciosus J. Sm. Habitat: It grows wild in the woods, in the fields and in places somewhat moist soil. There is also planted as an ornamental plant in the yard. Name of area: Pacing bargaining; Setawar; Sitawar; Poncang-fishing; Bargaining-bargaining; Tabar-Tabar. erect herb, 0.5-1.5 m. Pacing leaves almost sessile, even if there is only 1.5 cm in length, short-tongued. Spear-shaped leaf blade, 9-37 times the size of 3-10 cm. Conference terminal flower-shaped seating, pink or white. Leaves elongate tapered protective stand outboard. The petals do not fall out, similar triangular bone, forming the crown tube 1 × 0.5 cm. Editorial ovate, short-pointed tip. The fruit is a triangular box red fruit with seeds. Pacing rhizome 10 g; 1 piece of fruit pace; 3 cups water, boiled All materials and reserving 1 cup of water and then filtered after a cold drink, Drink it every day after menstruation for 10 days by means of a row. Pacing rhizome 12 g; Herba kumis kucing (Orthosiphon aristatus) 7 g; Water 130 ml, Made infusion, Drink 1 a day 100 ml. Pacing rhizome fresh taste; Turmeric 1 piece; Little water, contused to form a paste, apply on the skin of the sick.